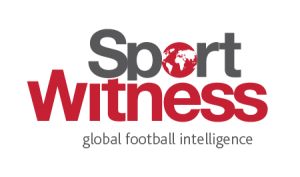 West Brom are reportedly interested in the Galatasaray winger Bruma. According to O Jogo, the Baggies have already contacted the Turkish club in order to know the player’s price, and got the same answer as PSV: €10m. 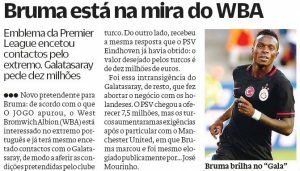 The newspaper says PSV offered €7.5m to have him, but Galatasaray increased their demands after the player scored in a friendly match against Manchester United and was praised by José Mourinho. Despite being born in Bissau, Bruma has Portuguese nationality and played for Sporting for a big part of his career. That’s probably where O Jogo’s sources come from, since none of the sides involved are particularly interesting for the Portuguese press. With a contract running until 2018, the player spent the last season on loan at Real Sociedad, where he managed two goals and one assist in 32 La Liga games.